Tooth decay is the leading cause of dental issues in Australia. In fact, reports show that over 80% of adults will experience tooth decay sometime during their lifetime . When a tooth is regularly exposed to acid, it results in repeated attacks on the hard, outer layer of the tooth, also known as the enamel, which slowly depletes it of valuable minerals, eventually causing tooth decay, or destruction of the tooth enamel . Tooth decay impacts people of all ages, including kids, teenagers, and adults, and if left untreated can eventually lead to cavities. Sugar is the culprit behind many dental issues, including tooth decay, cavities, and gum disease. In fact, studies show that the more sugar a person consumes, whether in food or drink form, the more they increase their risk of developing dental issues . Therefore, understanding how sugar affects your teeth could help you make better decisions involving your oral health. 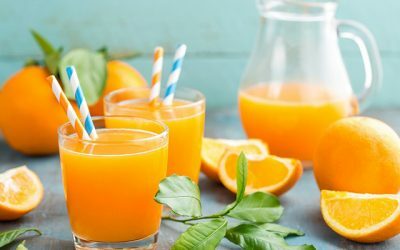 When you eat sugary foods or consume sugary drinks, the sugar in the food or drink reacts with the bacteria present in your mouth, which leads to the production of acid. It is this production of acid that eventually causes your teeth to decay. The greater amount of sugar you take in, the more acid that is produced in your mouth, and the more likely it is to wear away at your teeth. So essentially, it’s not the actual sugar that erodes your teeth, but the acid that the bacteria in your mouth creates when it feeds on it . When the bacteria in your mouth comes in contact with sugar, it uses the sugar to make acids that slowly eat away at the enamel, which begins the onset of enamel loss. 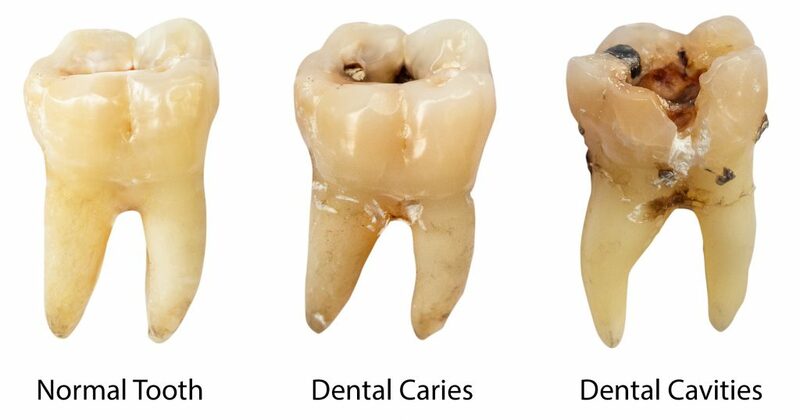 There are various signs you may have tooth decay, also known as dental caries, including painful teeth. If you have noticed that your teeth are more sensitive to pressure when you bite down, or if they have become more sensitive to hot or hot temperatures, it could also be a sign of tooth decay. Yellow, white, or brown streaks on your teeth or near the edge of the gums where they connect with the teeth, are also a sign of tooth decay . If the decay is allowed to persist, in time, it can develop into cavities, or small openings or holes in the outer layer of the tooth, which can leave the sensitive inner part of the tooth, also called the pulp, exposed, which can eventually become inflamed and infected and cause pain. Early signs of tooth decay can usually be addressed using fluoride or another dental office product to help avoid a filling. However, in cases where the decay has developed into a hole, the dentist may recommend a filling to remove the infection and restore the damage. 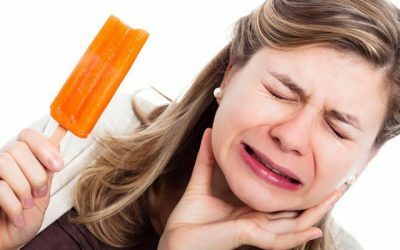 If you are experiencing a toothache, it is possible the decay has reached the nerve located on the inside the tooth, in which case your dentist may recommend a root canal . In more severe cases, the dentist may recommend extracting the tooth to help protect the other teeth. Harmful bacteria left on your teeth can also lead to gum disease, which occurs when the germs on the enamel continue to flourish until it reaches the gum line where it can inflame or infect the gums . However, if gingivitis, which is the early stage of gum disease, is caught early, it can be eliminated through proper oral hygiene . If gingivitis is allowed to advance, it typically develops into gum disease, in which case it will require professional dental treatments to help stop permanent damage as well as tooth loss. If your gums look swollen or red, they feel itchy, or you see blood whenever brushing your teeth, these could be signs of some form of gum disease. Sometimes these symptoms may also be accompanied by unpleasant breath or an unpleasant taste in your mouth. Because it is possible to have cavities as well as gum disease without any signs at all until it has progressed into more serious damage, it is important to attend regular dental check-ups, so your dentist can diagnose and treat early signs of dental problems before they progress into more serious issues later. In fact, research shows that those who do not attend the dentist regularly experience 3 times more the amount of tooth decay and 1.6 times more missing teeth due to dental infections than those who attend the dentist regularly . Reports show that is especially important for children to attend the dentist regularly, especially when it comes to preventing tooth decay, because their growing enamel is much softer, which makes them more prone to cavities . When you consume drinks or foods that contain sugar, the acid attack that occurs on your teeth afterwards can last for up to 20 minutes, which as stated earlier, can cause the enamel to breakdown and eventually lead to tooth decay and dental disease. This 20-minute acid attack occurs each time you consume something sugary. Certain foods can be used to naturally help decrease the risk of dental caries. In fact, research found that your eating habits and overall diet can actually help slow the development of tooth decay and cavities . Therefore, dental experts recommend consuming a balanced diet that is high in whole grains, low-fat dairy products, and fresh vegetables and fruits to help keep your teeth healthy and strong . Adding these foods to your diet helps increase the flow of saliva, which helps provide a protective barrier for your teeth. Saliva contains calcium and phosphorus, which continuously helps rebuild the tooth enamel and protect against tooth decay . If you do eat or drink sugary or acidic foods or drinks, try having them along with your meals as opposed to afterwards, and never before bed unless you brush teeth immediately following, because it will give your teeth less exposure to the acid and sugar in the drink or food. You should also consider consuming sugary or acidic drinks with a straw, which will also help decrease acid exposure to your teeth. Water helps increase saliva flow, which we’ve already discussed helps replenish key minerals that help rebuild and safeguard the enamel. However, it also moistens and breaks down and washes away food particles from the teeth and gums, which helps prevent bacteria build up. 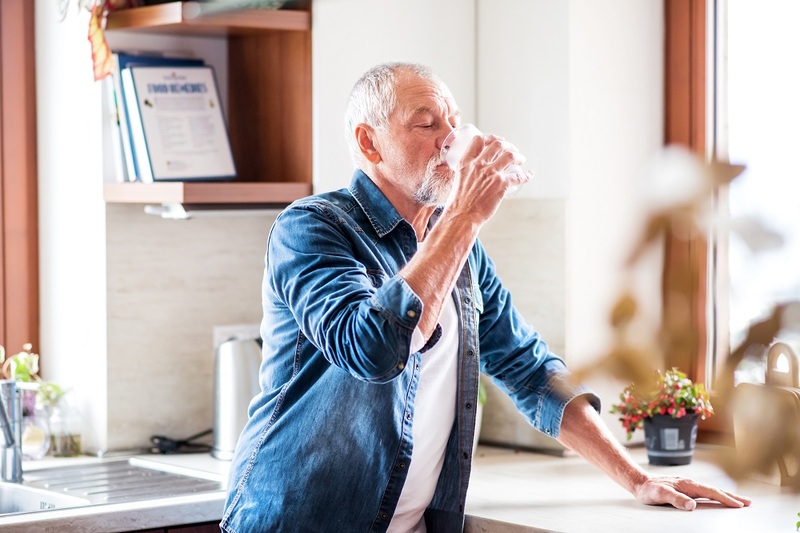 Therefore, it is recommended that you consume lots of water during the course of the day, if possible, fluoridated water from the tap, to help rinse your teeth and dilute any sugar or acid that adheres to the enamel surface. On the other hand, a dry mouth increases the chance of developing tooth decay and dental infections because there is not enough saliva to safeguard the enamel . If you do consume sweets, be sure to rinse your mouth with water immediately after to help increase your saliva and prevent the sugar from remaining on your teeth. Chewing sugar-free gum after consuming sugary foods and drinks can also help stimulate saliva production and protect the enamel as can eating a piece of hard cheese, which also contains calcium that helps strengthen the teeth . Sugary foods are okay as long as they are only enjoyed occasionally. 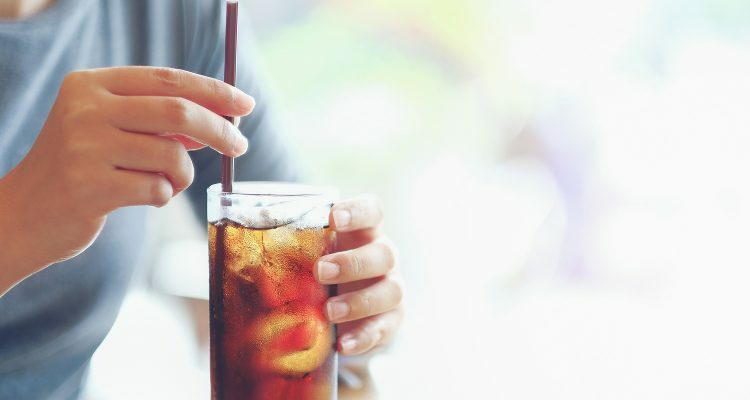 However, soft drinks and carbonated energy beverages should be avoided altogether, if possible, because they can cause significant damage to the teeth. In fact, they contain the highest sugar amount than any drinks or foods . Furthermore, they are also high in acid, including diet soft drinks, which makes them additionally harmful. This means, not only can the germs on your teeth use the high sugars to produce more acid, but the drinks themselves are also high in acid; therefore, it can cause the enamel to erode faster, and this process occurs each time you consume sugary, high acidic drinks. One of your best defences against tooth decay and cavities is regularly brushing your teeth. In fact, according to the American Dental Association, you should brush your teeth at least twice a day, for at least two minutes each session. . They also recommend using a soft-bristled brush and a fluoride toothpaste to help keep your enamel strong. Additionally, you should also floss at least once a day to help remove any remaining food pieces and bacteria from between the teeth. Even after sufficiently brushing your teeth, your toothbrush can fail to reach some areas, which can allow food particles and harmful bacteria to linger between the teeth and below the gum line . 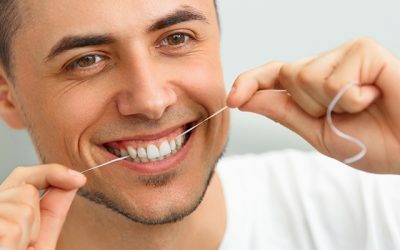 However, flossing will help remove any remaining food particles and bacteria that remain behind. Even with proper brushing and flossing, some bacterial plaque can still remain on your teeth, which can eventually harden into tartar, a hard, mineral-build up that can only be removed by a dentist . Once tartar forms on your teeth, if it is left untreated, it can essentially provide an even stickier surface for bacteria to adhere to, which can lead to gum disease – a serious inflammation of the gums that can eventually weaken the surrounding structures of the teeth, including the bone, and lead to tooth loss . Therefore, to help prevent tooth decay, cavities, and gum disease and to help detect early signs of various dental issues, including oral cancer, it is important to schedule a checkup with your dentist at least every 6 months. By doing so, it can help prevent tooth pain and save time and money on costly restorative treatments. Furthermore, even with proper oral hygiene, some people are just predisposed to certain dental issues, such as cavities and gum disease, due to heredity . Therefore, seeing your dentist regularly also enables her or him to provide you with preventative treatments, such as dental sealants, to help decrease your risk of developing certain dental problems. In the end, living with dental issues can negatively impact your psychological well being as well as your quality of life. However, by staying on top of your sugar consumption, practising good oral hygiene, and visiting your dentist twice a year for a professional dental cleaning and checkup, it can help ensure you remain your most confident.